"The Tickle Ghost is somewhere near. Can you see him? Can you hear? Slowly creeping up the stairs. He'll try to catch me unawares." 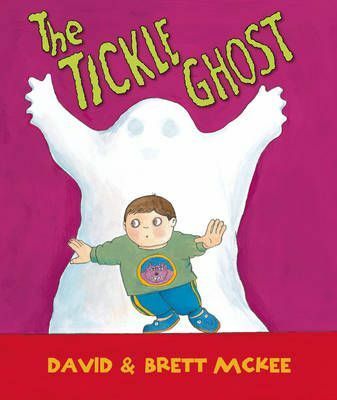 But who is the Tickle Ghost? And is he real, or are Dad and Dylan just having a bit of bedtime fun? The Tickle Ghost is somewhere near. Can you see him? Can you hear? He is slowly creeping up the stairs. He'll try to catch me unawares. But who is the Tickle Ghost? And is he real, or are Dad and Dylan just having a bit of bedtime fun?